If you liked this show, you should follow Happy Mind Happy Life Show. 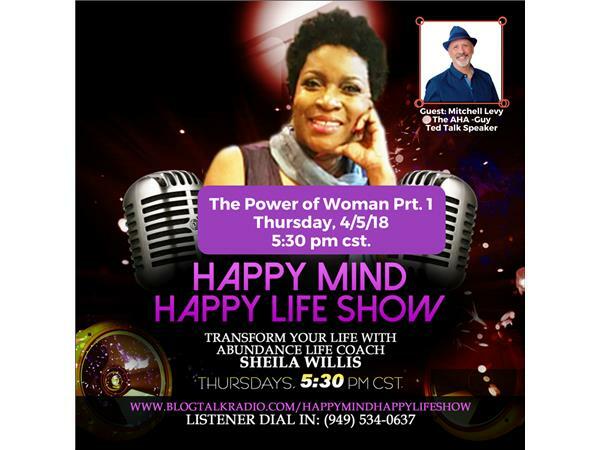 The Happy Mind Happy Like show kicks off a month of honoring women and the divine feminine. Join Abundance Coach Sheila Willis and Mitchell Levy - The AHA guy and Ted Talk speaker for as they discussion of the Power of Woman and how she reshapes the future through her feminity and influence.